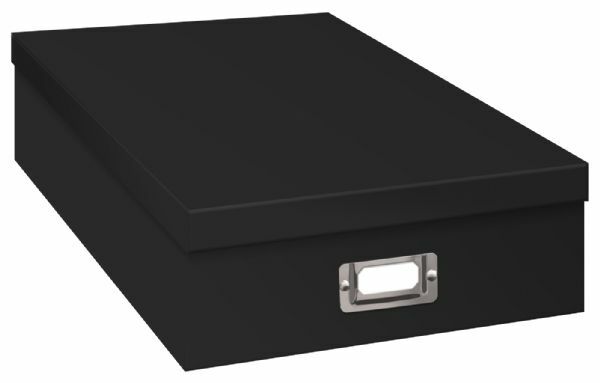 Heavy weight storage box large enough to hold scrapbooks memorabilia papers cards and supplies. * Brass ID holder with insert. * 13" x 14¾" x 3¾". 15.12" x 13.25" x 3.88"